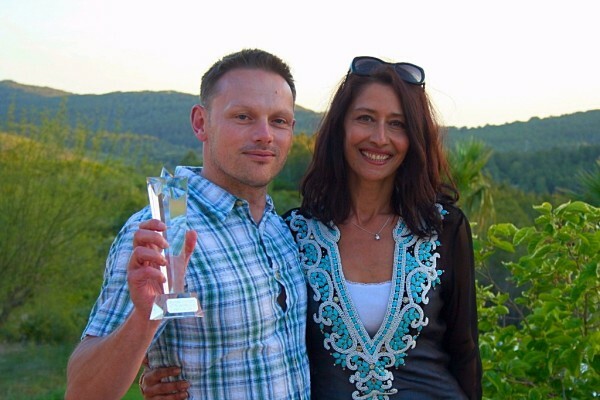 An extra special trip for Mark Borg as he was presented with the Business Manager award whilst soaking up the sun at this years annual event in Marrakech. Both Mark and Sabina’s smiles say it all. He didn’t see this one coming. Well done Mark. Sabina announced his award at the company’s 10 year celebration at the Spanish Grand Prix in Barcelona this year. Kevin was speechless and after many years of outstanding and loyal service still didn’t see this coming. He deservedly celebrated for the whole weekend with his colleagues. Well done Kevin.